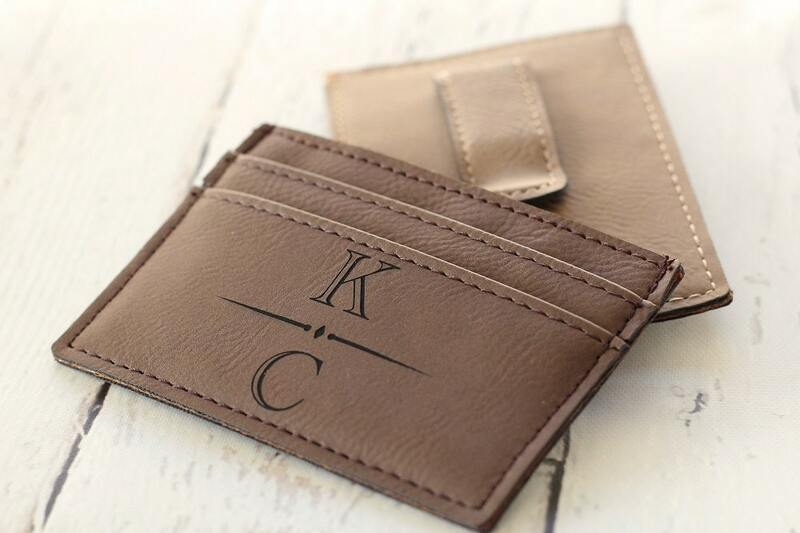 Our Rustic style laser engraved leather money clip will make the perfect gift for Fathers Day, Groomsmen Gifts, Birthdays and just because. 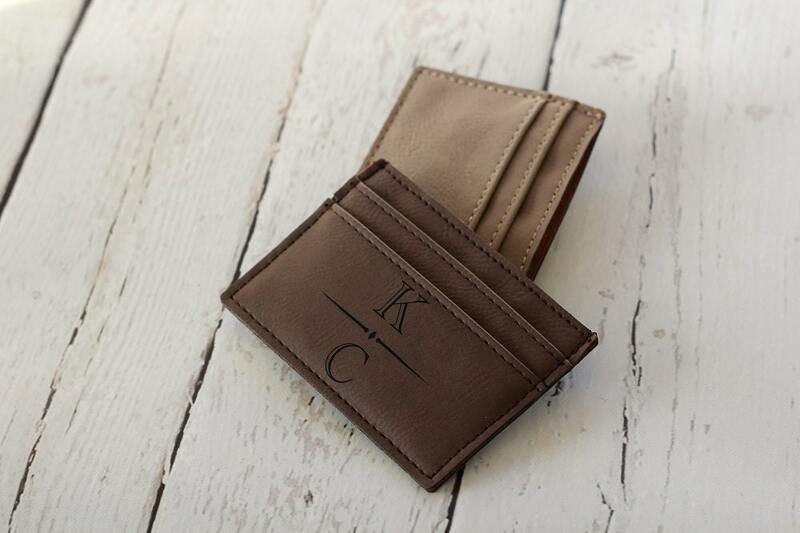 Made using a Light Taupe or Chocolate Brown color leather with the custom image and initials laser engraved onto the front of the money clip. 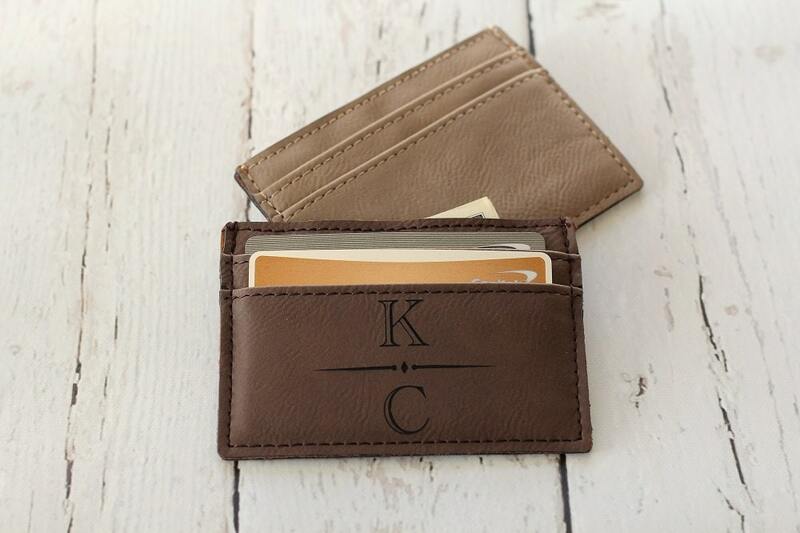 If you would like a custom image engraved onto the money clip convo us with details. 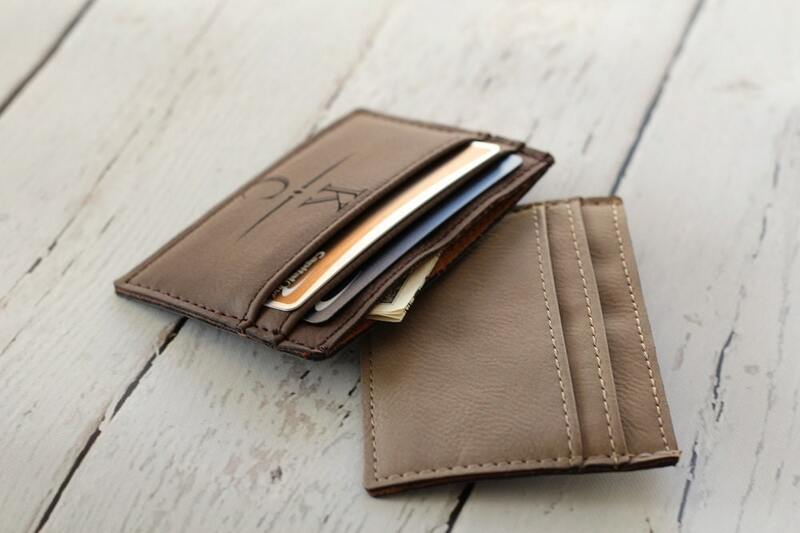 If you would like to place an order for a set of money clips please convo us for a custom order with discounted shipping. 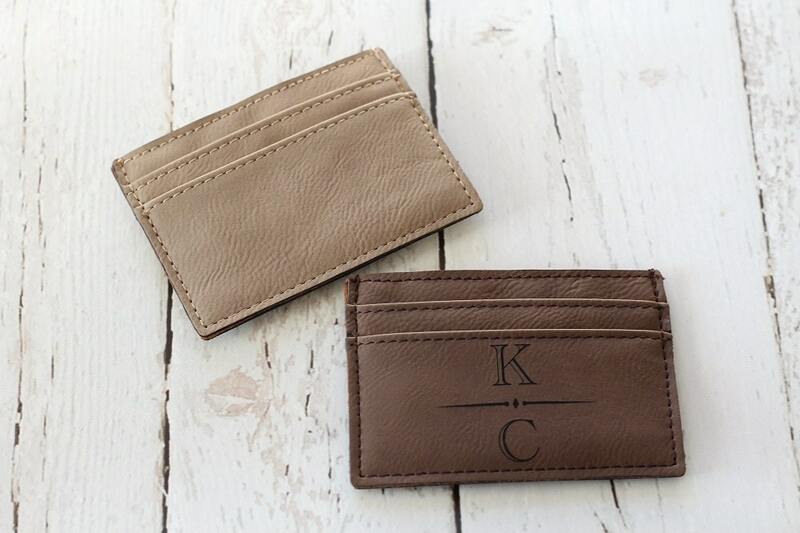 Literally these wallets are so awesome and perfect! !